Ariel Gordon is a Winnipeg-based writer whose first book of poetry, Hump (Palimpsest Press), was published in 2010. She is the 2010 recipient of the John Hirsch Award for Most Promising Writer and the 2011 Aqua Books Lansdowne Prize for Poetry / Le Prix Lansdowne du poesie. 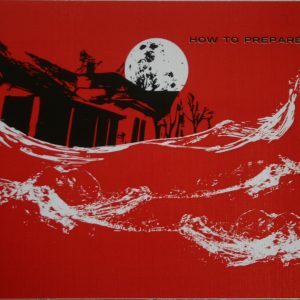 How to Prepare for Flooding (JackPine Press, 2011), a collaboration with designer Julia Michaud, will be launched with this event.